The SAYLA Scramble is the annual golf tournament sponsored by the San Antonio Young Lawyers Association. Each year, this tournament supports the San Antonio Young Lawyers Foundation (SAYLF) and another local, charitable organization. This year’s charity is The Miracle League of San Antonio, an organization that provides hundreds of disabled children something few dreamed possible, the chance to play baseball. 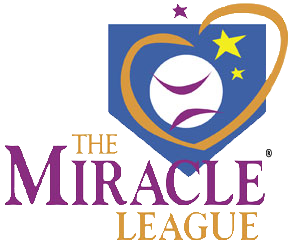 The Miracle League of San Antonio provides children with mental and/or physical challenges an opportunity to play baseball as a team member in an organized league. The Miracle League gives these children the opportunity to get out in the sunshine and enjoy playing the game of baseball in its purest form. For more information please visit the website at http://www.miracleleagueofsanantonio.com. For more questions, please contact [email protected]. Sponsors of the SAYLA Scramble will enjoy prominent exposure to many rising leaders in the local business community. As young lawyers, SAYLA members are involved in all aspects and at all levels of the San Antonio area community. From transactional attorneys and litigators to elected officials in the public eye, the San Antonio Young Lawyers Associations has a diverse membership that has been a mainstay of our community for over 60 years and will continue to be for many more. As the event’s details are organized, this page will be updated with specific information regarding the event. In addition to supporting two worthy 501(c)3 charitable organizations, your contributions and sponsorships are tax deductible to the fullest extent allowed under law. Thank you to Justice for Me for being the Title Sponsor for this year's golf tournament. Your support is greatly appreciated and will go a long way in providing support to our beneficiary, The Miracle League of San Antonio!